August 3, 2013 - by ldallara924 - 2 Comments. 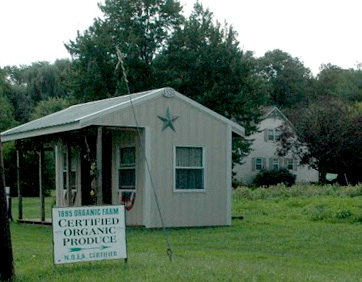 1895 Organic Farm is a small Certified Organic vegetable growing operation established in 2000. Kim and Wayne Batten created the name 1895 because there was no use of chemicals at that time. Growers of high quality produce, heirloom tomatoes, peppers, eggplant, onions and much more. With a very wide variety of vegetables, we are able to supply your table needs. Freezing and canning are also encouraged for winter months. Drying herbs keeps you in supply for future Cooking. The SJ HOT Chefs 2013 “Farm to Fork” Week – Sunday, July 21 through Saturday, July 27 – will feature the bounty of Burlington County farms and the talents of many local chefs, in the annual collaboration between South Jersey’s growers and chef-owned and operated restaurants. Burlington County Chef Tom Bokolas of Scaturro’s in Marlton will join the chefs of three Medford establishments, including Braddock’s Tavern, Top Notch and Zinc Café as presenters. Elsewhere in the county, the chefs of Cafe Madison in Riverside, Monsoon Fine Indian Cuisine in Mt. Laurel and Villari’s Bistro, Bar & Grill in Palmyra are also excited to participate. Among local growers, Kim and Wayne Batten from the 1895 Organic Farm in Lumberton will partner with several restaurants, both in and outside of the county, during the celebration.